To me, there’s nothing more romantic than taking off to one of my European bucket list destinations. Romance, in these cities, can be found in the most simple of ways. It can be found by turning corners and seeing where they take you, by wandering down cobble stoned streets in search for the best place to eat some local food, or by sitting in a bustling town square, closing your eyes, and listening to the excitement and joy swirl around you in different languages. This is a list of 5 of the most romantic cities in Europe that I have visited and what to do there. I once got a massage in Vegas which was my first ever real spa treatment. Before that, I thought that going physiotherapy was a spa day. Afterwards, I was asked, “How do you feel, Ms. McNeill?” and I said, “I feel like I could curl up in a tub and cry myself to death.” Although he said it was absolutely the strangest response he’d ever gotten, he understood that I wasn’t in my right mind due to the heavenly treatment I’d just experienced. The thermal baths in Budapest gave me the same feeling. I went to Széchenyi Thermal Baths and Gellért Thermal Baths. You can nap in the steam room, drink a beer on a lounge chair, go through the 21 pools in order to get the full mind/body experience, or jump and squeal in a wave pool. I did all of the above. Another thing to check out in Budapest is Freedom Bridge. Take a bottle of wine (or your drink of choice) and a picnic. You can climb onto the bridge or sit down below and enjoy the stunning view of the Danube river. 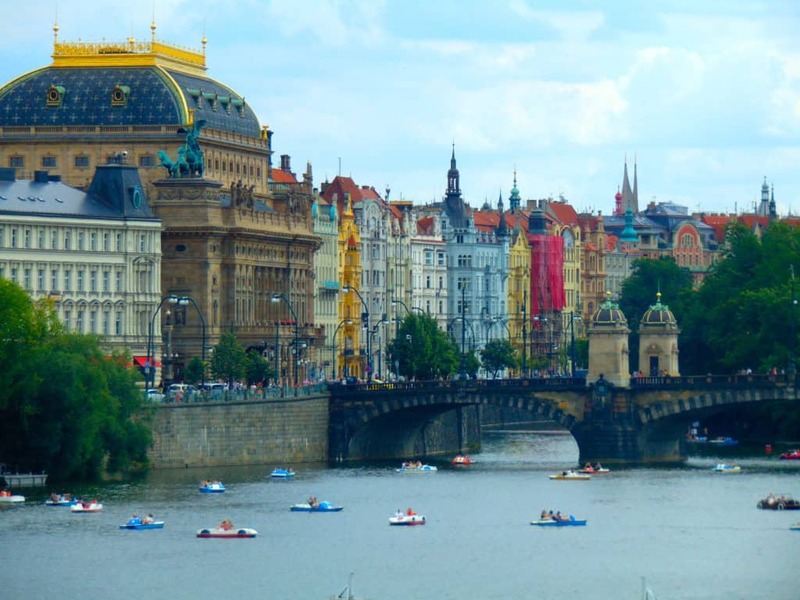 Vltava river looks especially beautiful in the summer with all the paddle boats. I went on the boats at sunset (insert giddy squeals of joy here) which definitely had an air of romance surrounding it. No matter what time of the day you go, once you paddle out into the middle of the river and look around at the national theater, Charles Bridge, and, oh yes Prince(ss), the Prague castle, trust me… you’ll be feeling the love. So. There’s an awful lot of suspicion and accusations that John Lennon might not have been a super swell fella. Things aren’t always what they seem but if some (millions of) people want to take a life lesson from him in a “do as I say not as I do” approach, then why not. 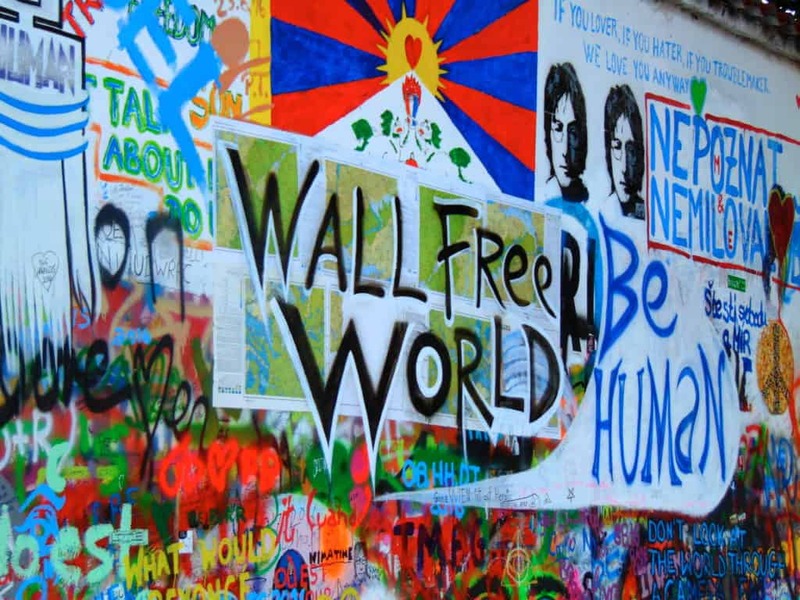 So in that way, the Lennon wall is a pretty sweet place to visit. I went to the Lennon wall for the first time in July, shortly after the attack in Nice. Across from the wall is the French Embassy building. On this day, the feeling of love, respect, and unity was extra strong. 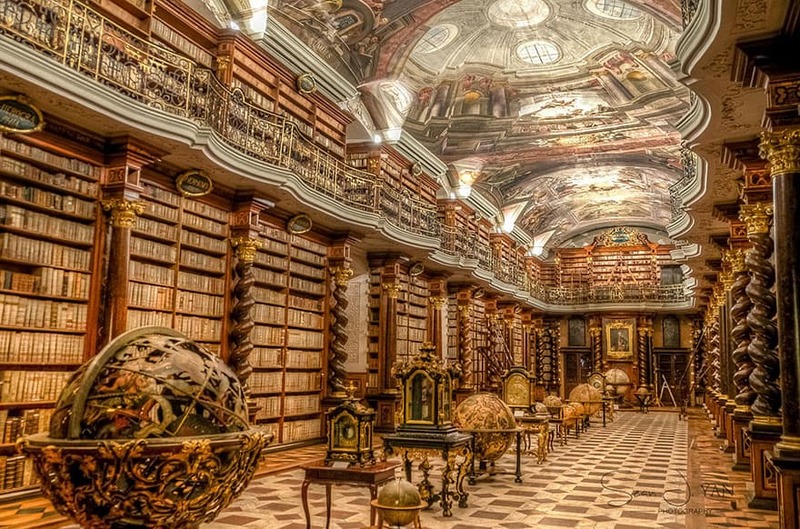 Bonus: Book lovers and/or globe lovers go to Knihovna v Klementinu. Some of you may not fancy it all all. Some of you will cry. It’s a little weird that the history of Gladiators, death, disease, and the fall of an empire can spark romance but have you seen Crixus cry near the end of Season 1 in Spartacus?! That’s love, baby! 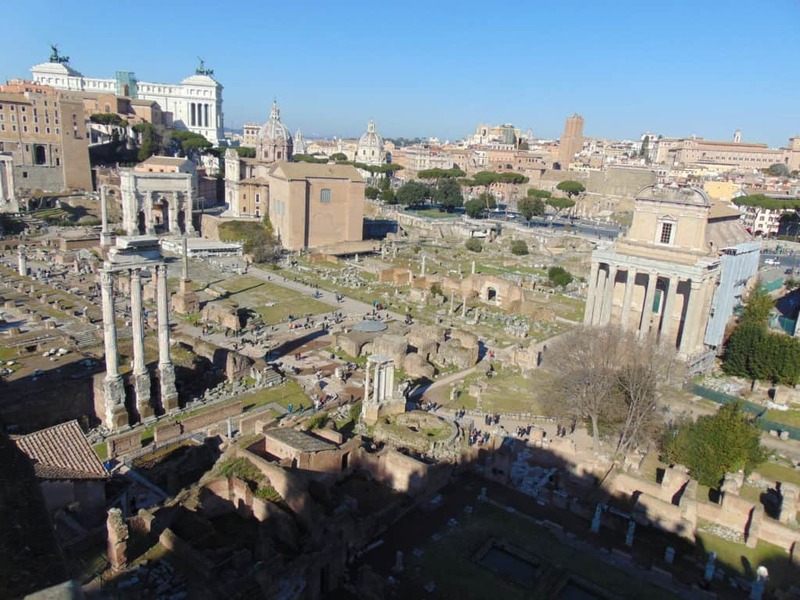 The history and architecture in Rome are enough to keep your jaw slack during your entire stay but there’s something about Rome that I don’t hear enough chatter about and doesn’t get enough recognition. The people and the atmosphere in Rome is something really special. I went in January, which isn’t a very busy time for tourism. It’s an interesting idea to skip the busy Roman summer and go in the winter instead, when you can explore the city without the crowds. 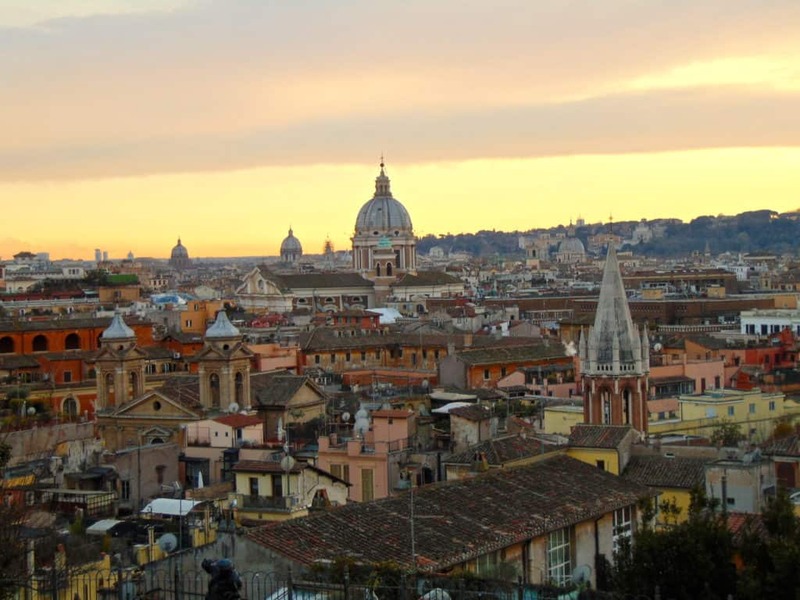 What’s the most romantic activity in Rome? Walk. Walk everywhere. There’s a new surprise around every corner and everything is absolutely beautiful. The old town is tiny and quaint enough that you can make it feel as though the village has been set up specifically for your date night. 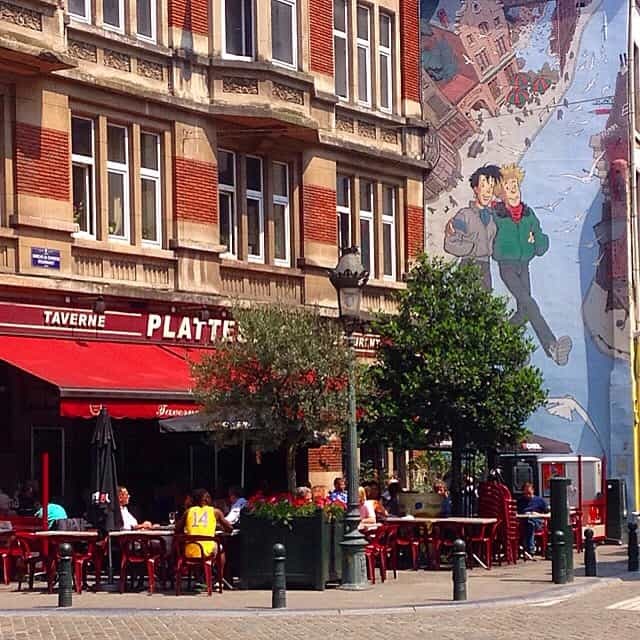 Surrounded by the beauty in Grand Place (Grote Markt), eat fries, drink beer, eat chocolate, and be merry. 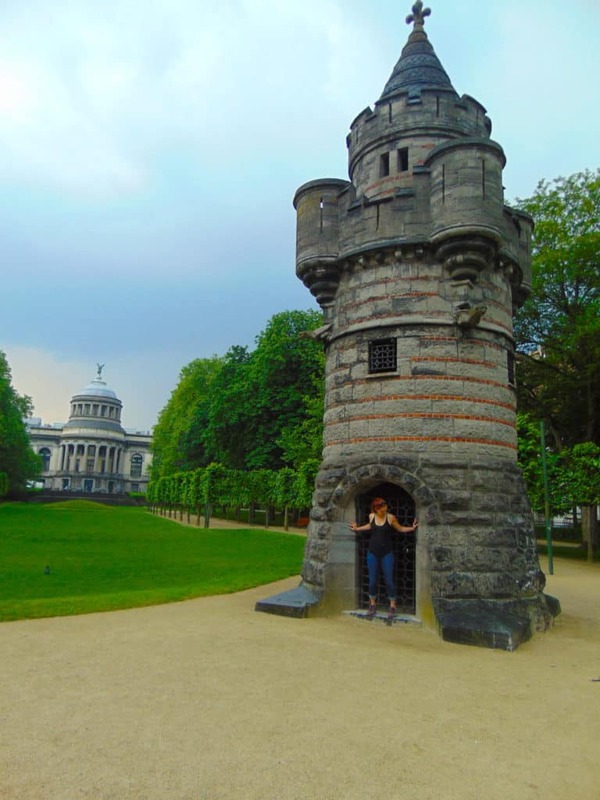 If you want to get a little outside of the old town, the bike rentals in Brussels are crazy cheap and you’re lucky, you’ll find your own secret hidden castle**. ** The castle was neither secret nor hidden… nor my own. What I found to be the most romantic thing about Brussels was the fact that the LGBTQ rights are the most progressive in Europe. Belgium was the second country in the world to legalize gay marriage with many other progression happening since then making Belgium one of the most gay friendly countries in the world. This “comic strip” on the wall highlights the importance that Brussels puts on making everyone feel loved and accepted. The cafe underneath the red canopy is commonly known as a meeting place for the gay community but, of course, everyone is welcome. If you know me or have read certain previous posts, you probably already know that Paris is not my favorite place. I’m adding Paris to this list because, believe it or not, even I can see the romantic qualities of Pairs. I admit that there are areas of Paris that are worthy of your romantic daydreams. No matter where in the world you are, getting pampered with luxurious treatment and hella good food is always a good idea. Paris has you covered! Is it going to be pricey? Yep. It is. If you’re willing to splurge for a top quality vacation, which we all need to do from time to time, stay at Shangri-La. Full disclosure: I didn’t stay there. My splurge vacations can only get me so much but while in the city, I was given a tour of the property. The suite has the best view in all of Paris whether you’re on the balcony, in bed, or in the bath. As you can imagine, it’s a pretty popular spot for proposals and wedding pictures. From the hotel, you can take a short walk down the hill towards the Eiffel tower where a wine and cheese picnic is a must. These cities are, in my opinion, great destinations to visit with a loved one and take in the romance. However, I have not been everywhere! Do you know a European city that should be on this list? Let me know! Maybe I’ll go there next. Ahh Prague and Paris are seriously stunning. They are high on our bucket list! I think Paris is definitely the most romantic city, but Amsterdam is another great one. The canals are just so beautiful, and the entire city is incredibly romantic too! Thanks for your article, very interesting and engaging. So stunning pictures of europe romantic cities. Great bucket list! Thanks for sharing this stunning picture and wonderful post about the European city. Such an awesome place to visit. People like to go to and associate themselves with something famous. 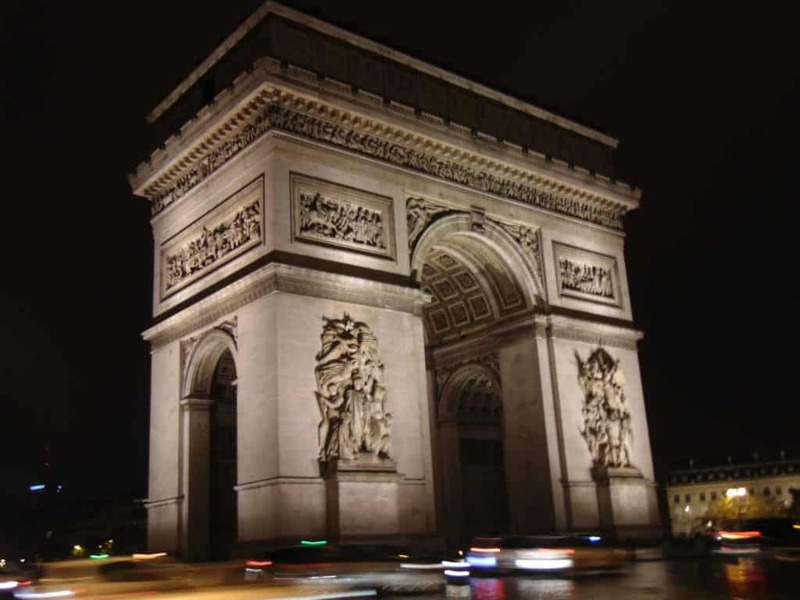 Europe travel places are rich in famous landmarks. Some of the most popular landmarks of the globe, from Big Ben, to the Eiffel Tower, to the Coliseum are situated in Europe. Thanks for this amazing topic. It is always my goal to visit Budapest after I watched the Korean Drama Doctor Stranger – there is a romantic-tragic scene at the bridge between the lead characters and it was fantastic. In Europe, my favorite is city is Reykjavík – underrated but a lot of awesome things couple can do. https://iceland4less.is/11-reasons-visit-iceland/. Paris is always on the list of everyone. I really hope I can visit Budapest this year! Thank you for sharing your post! Great, these are awesome places and full with beautiful things. i really like beauty of these palce and these beauty is so charming. stunning photos you shared of these places. 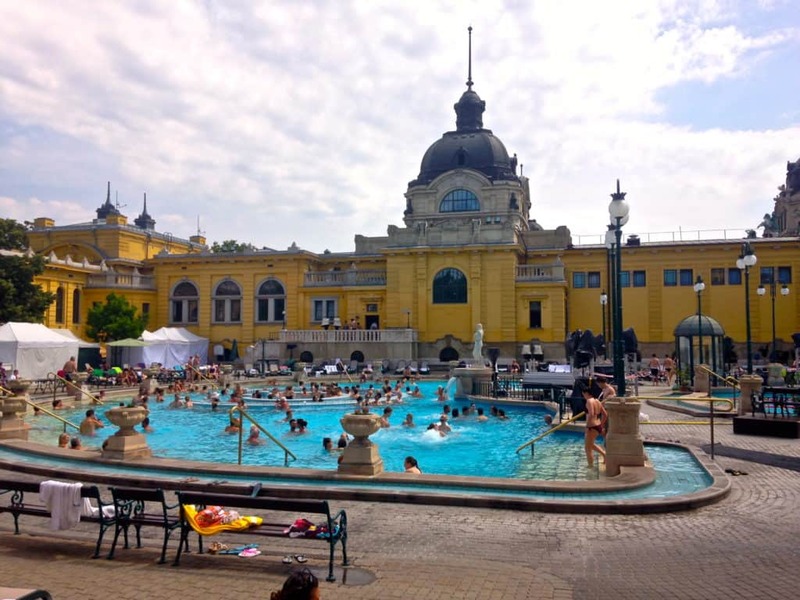 Wow!…I have heard a lot about the thermal baths in Budapest…it really sound amazing. Rome is beautiful have been there once. Gonna visit Budapest, the soonest. Thanks for sharing such a nice read. Wonderful Europe cities! And I love to go Paries and it’s enjoyable. Happy to hear it!! Great list, one suggestion as a travel blogger to travel blogger: You should use better quality images! Perhaps do not try to over squeeze… I also made the same mistake… but later I understood. Paris is simply stunning. And Rome is an eternal beauty. Would love to visit the above-listed places in Europe too. Thanks for sharing. Lovely read! You never know until you try, and I think it’s way easier to appreciate home after leaving it at least once. While Paris is my favorite out of the listed cities, I’m excited to return to Prague later this year. The architecture in both cities is amazing. Thank you again for such a great post. I wish to see the whole europe and the places that you have shared in this blog attracts me too. Seville is just beautiful and has the most amazing and cheap tapas dishes! They say the best way to the heart is through the stomach – in Seville! I highly recommend the ‘solomillo al whisky’ (a pork dish) from El Baratillo restaurant! 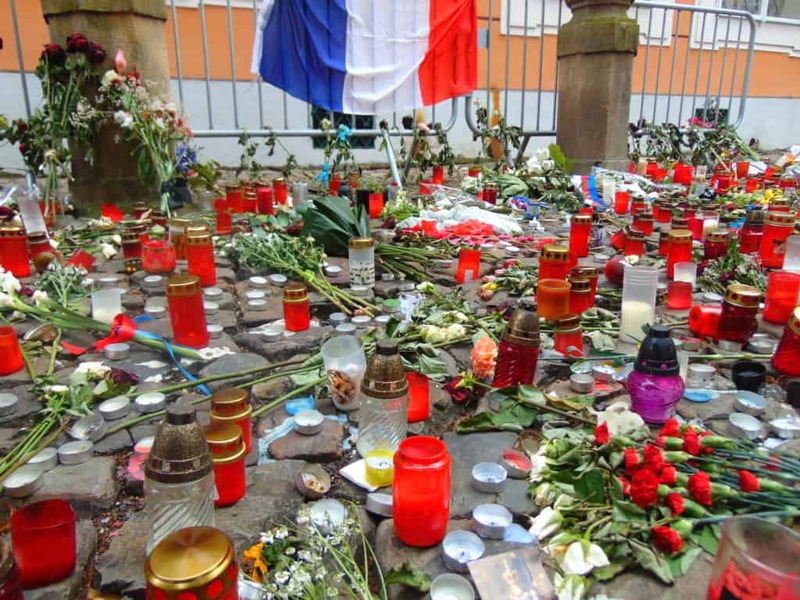 On romantic things to do in Paris, I was given a good tip recently, for those who like concerts. If you want to visit Notre Dame cathedral or Sainte Chapelle, book tickets for an evening concert so that you can go in after they have closed to the main tourist crowds (this is what I plan to do this summer). Apparently the summer sun at sunset streaming through the stained glass windows of Sainte Chapelle makes for a breath-taking view – and you also get to enjoy a nice concert at a reasonable price!